In March, this website reported the appearance of a new e-magazine, Tramways Monthly. 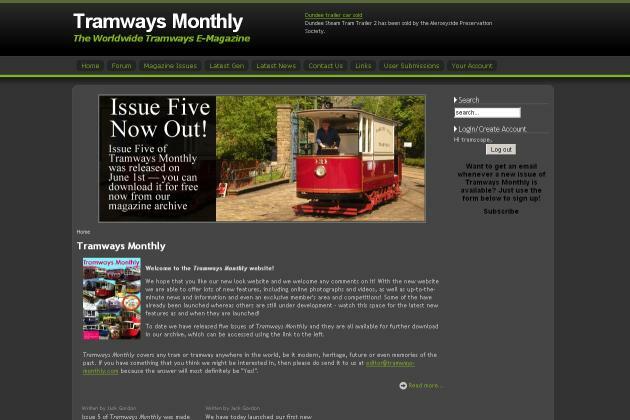 The magazine has since launched a new website: www.tramways-monthly.com, and reached issue number five. The website also features a forum to discuss all things tram-related.